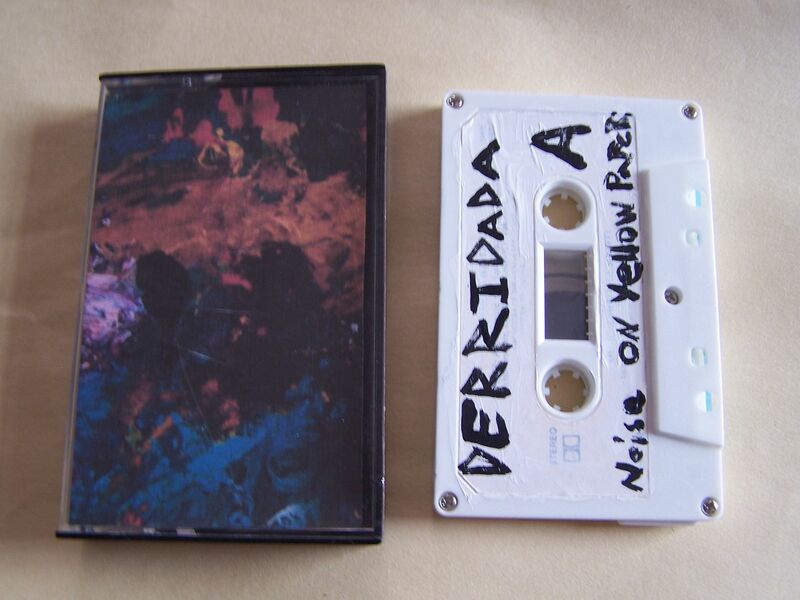 Raised by Gypsies ::: Cassette Review: Derridada "Noise on Yellow Paper"
Cassette Review: Derridada "Noise on Yellow Paper"
When this cassette arrived in the mail, it was in a box for an expresso maker. 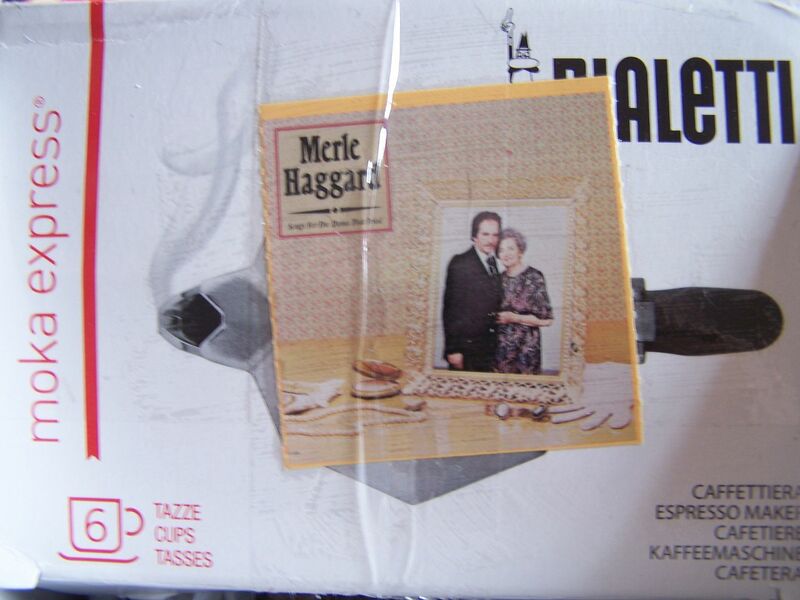 There were pieces of a Merle Haggard cassette taped to the outside as well as inside the box, though it was only the paper insert not the actual cassette part. 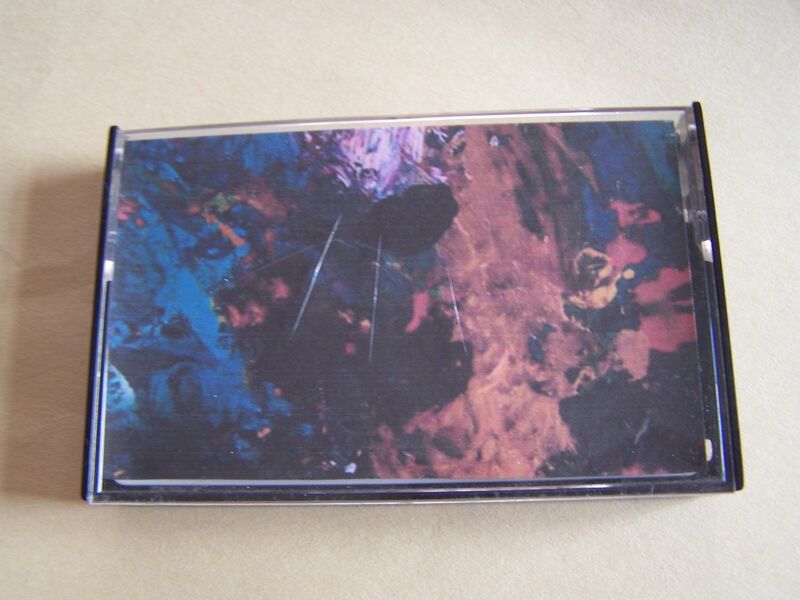 "Noise on Yellow Paper" is also on a recycled cassette which just answers the question of what do you do with those left over j-cards? 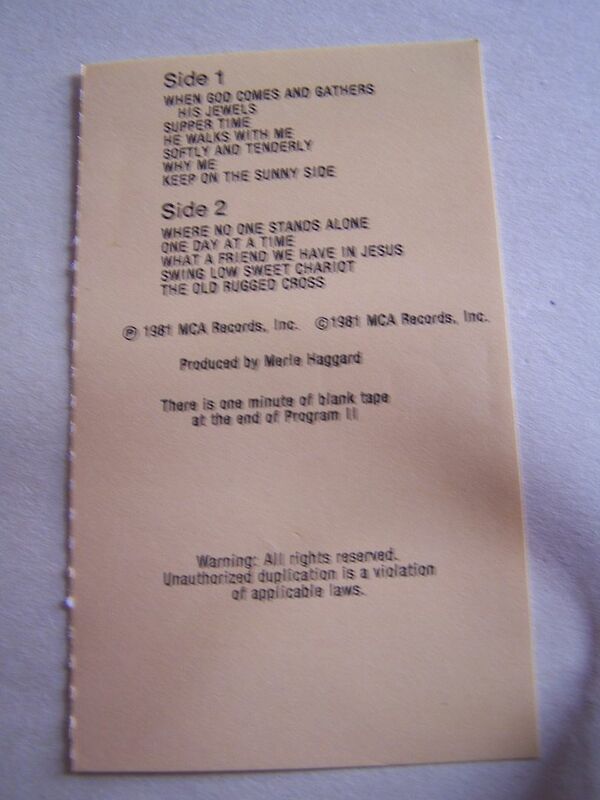 I remember when cassettes used to practically have little books inside of them, it was always so cool opening them up and finding all of the lyrics. 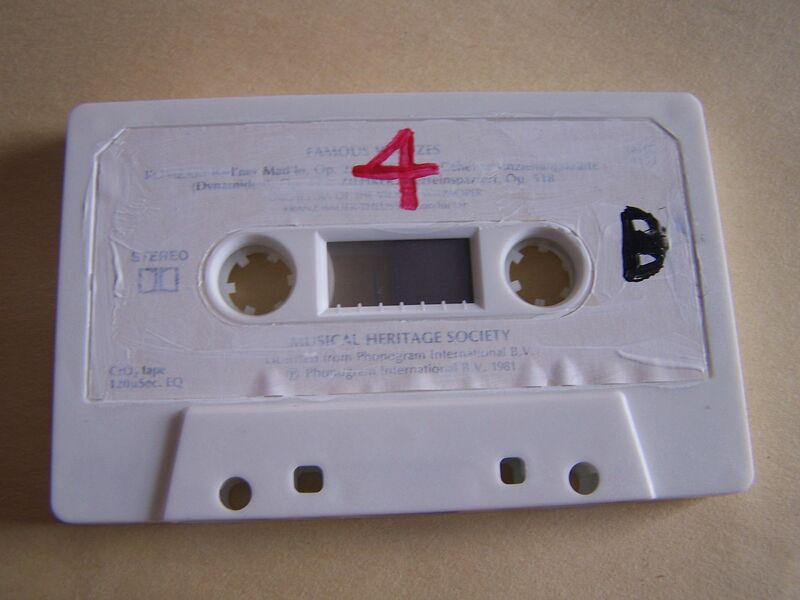 This could also be used as a tip for any artists out there interested in having their music released on cassette: go to Good Will and buy some cassettes for a dollar or less and tape over them. 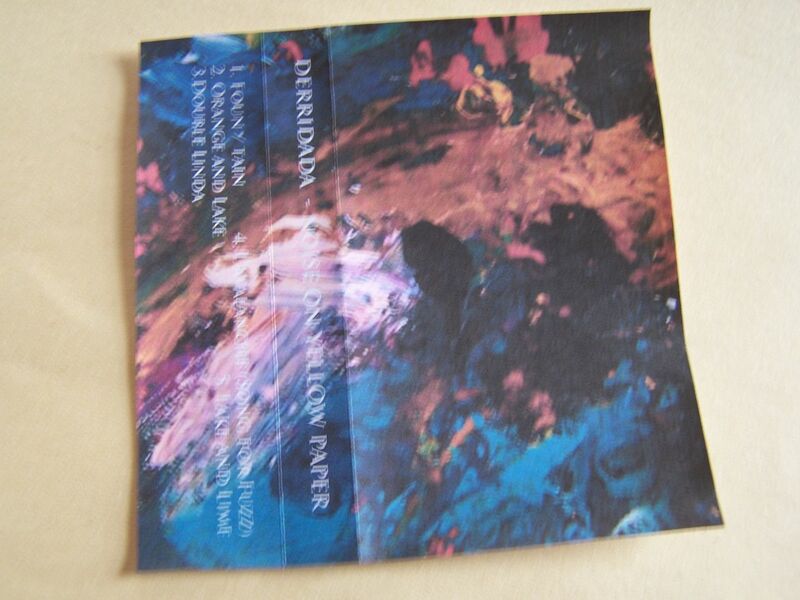 With the name "Noise on Yellow Paper" you have an idea going into this that it will be noise. 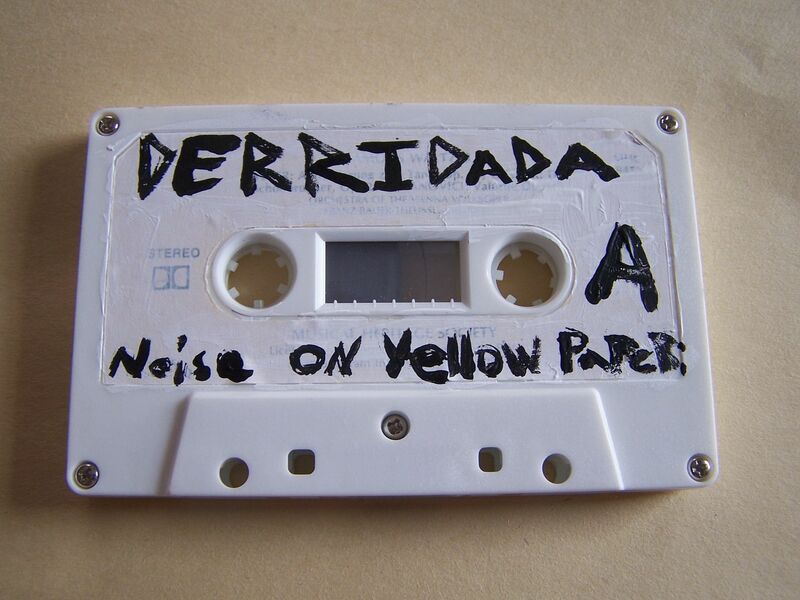 Someone I emailed once asked me if I reviewed "noise" (Not Derridada though) and I said "Almost exclusively". Transformers sounds start the cassette off along with this synth that generates reverb (which I shortened in my notes to "synthverb", something no one should ever use again) and then there is just also this overall echoing effect as if we're in "Friday the 13th" and some dumb tween is about to get stabbed. 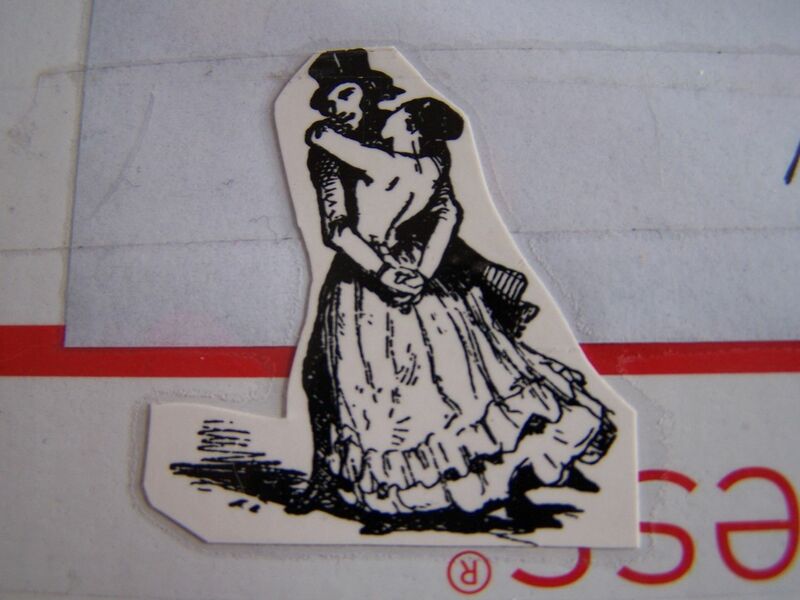 The sound then takes a turn for the grinding, the mechanical and the brooding. With cymbals come sharp feedback screeches and, yes, I will admit it is kind of as if Jason is striking and his victims are screaming out in pain. Following an audio clip there are hints of static and these sharp noises which somehow sound like a twist on wind chimes to me. The audio clip continues its speech as the side comes to an end. On the flip side, the mechanical/grinding patterns begin again only this time they are bordering closer to industrial rock. Static bursts give way to a sound I cannot quite identify as a piano or strings. There are sharp beeps and the Transformers sound also comes back a little. It then takes us to a dark basement where it is damp and bleak. If you've been following this along as a slasher movie then you clearly must see this as the time when either a) the bodies are being dumped in the basement or b) more victims are being found hiding down there. As the sound becomes hollow it all comes to an end with what I can only describe as a sound similar to that of a video game start screen, though you would have to assume the title of the video game yourself. Pressing the start button would seemingly begin the entire cassette again and you would once again take this wild ride that is a seemingly intensified and super-sized horror movie with a realist vibe that I like to call "Everybody Dies".